Mike Wieringo passed away three years ago today. Sadly, I never met Mike, but his work is a huge inspiration to me. 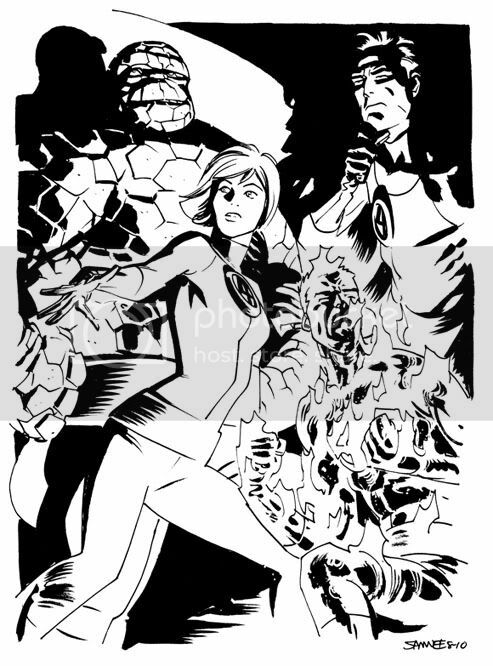 As much as I love Tellos, when I think of Mike, I think of his amazing work on the Fantastic Four, hence today's sketch. Like Mike, you have a gift for creating expressive faces and endearing characters. You'd be a perfect fit for the FF if you should ever get a jonesin' to tackle them. this one is really outstanding. I think that it's everything but easy to catch the FF very essence. I'd kill to see you on the FF with a writer that could speak to your style... which catches the characters so well.